The (4) Berkey Sport Bottles For Steve R.
Berkey Sport Bottles are great for hiking, backpacking and emergencies. Sport Bottle Water Purifiers…It’s Like Having Bottled Water Anywhere You Go! 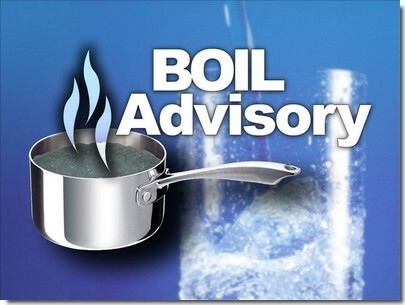 We have a great water supply where I live and I’ve always appreciated how cold and fresh our water tastes. Recently, however, I ran out of water in my Sport Bottle so I thought I’d just get a glass of water from the tap as I had done many times before. I couldn’t hardly believe the difference! It smelled and tasted like chlorine and I had a hard time drinking it. Maybe it was a fluke and they were cleaning out the water tank, lines, or something…I really don’t know. 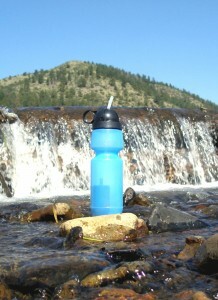 I do know that my Sport Bottle water purifier is light-weight and easy to take with me anywhere. I like knowing that I can just dip it into the river when fishing and drink pure water without packing any drinks into to my favorite fishing holes. My kids like the Sport Bottles for soccer and other outside sports. It’s great knowing they can always have pure water without all the chemicals you find in “normal” city water systems! Just click on the “Add to Shopping Cart” button and place your order for some Berkey Sport Bottles. You’ll be glad you did! 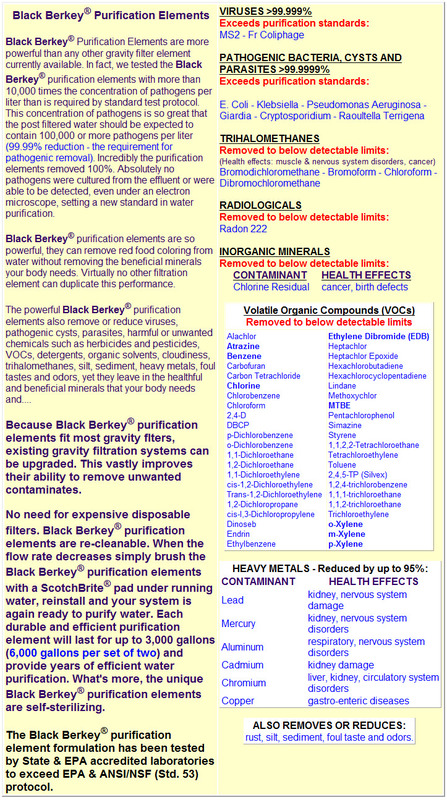 Click for Berkey Sport Bottle Water Purifier Literature. * Flow rate calculated with upper chamber full to top. Flow rate decreases as water level declines. Powerful Water Filtration and Purification Specs.